St.Emilion lies on the western limits of the Dordogne some 35k northeast of Bordeaux. The town (population 2000) traces its origins back to prehistory. Today it is most remarkable for and synonymous with some of the finest wines in the world. 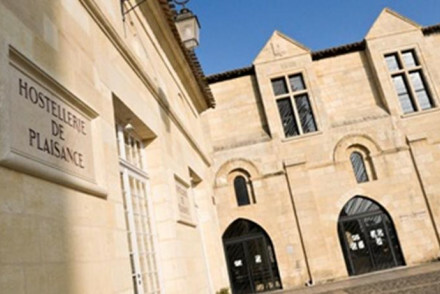 It is now a UNESCO world heritage site and the best places to stay in St. Emilion offer the traveller a perfect base to soak in all of the diverse history and culture of the area. The town is full of history. Starting from the town square and the Place de l’Eglise Monolithique one can enjoy coffee in the sunshine or wander the narrow streets that criss-cross the town – delve into the shops, boutiques and restaurants. Still much remains hidden from view; there are subterranean labyrinths of passages and rooms, a buried monolithic church and the grotto where St. Emilion lived. St. Emilion is also a great centre for exploring by bicycle, for those interested in their oenology and for a range of general culture vulturing activities. The region is very busy during the peak summer months of July and August, so if you want to bag a bed in one of the best places to stay in St Emilion, you'll either have to book early or else plan your visit during the quieter periods, when you can really appreciate the place. 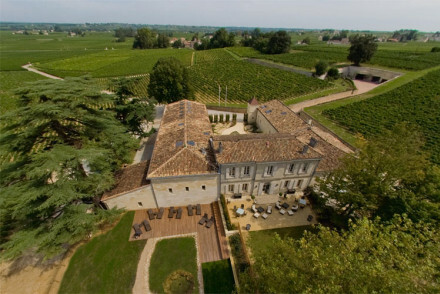 Les Clefs de Troplong Mondot is set in the heart of the extensive vineyards of the Chateau Troplong Mondot. Its two rooms each have their own unique and stylish décor with all mod cons. Wine tasting is available. Le Relais de Franc Mayne is a wine lover's dream. Set amid the vines just outside St Emilion. Rooms are individually themed from "Out of Africa" to "Pop Art". Don't forget to indulge in some free tasting! Chateau Grand Barrail is a beautiful 19th century chateau situated in a seven acre park and in the ‘right bank’ area of Bordeaux – in the heart of the wine producing area. This 46 room, four star hotel comes with gourmet restaurant and spa with an extensive array of ‘cinq mondes’ treatments. It is also pet friendly. 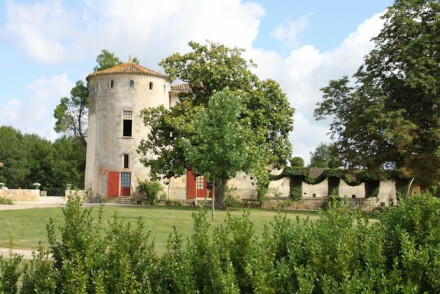 Chateau de Castelneau is a serene spot just a couple of miles outside St. Émilion. Brimming with rustic charm and character, the chateau offers comfortable rooms, wine tours and beautiful rolling landscape. On the banks of the Dordogne, Chateau de Courtebotte is a stunning 17th century castle. Awash with historic charm, it features comfortable rooms, excellent dining and an outdoor pool and hot tub. Located in the centre of town, Hostellerie de la Plaisance is a unique and exceptional place where ‘beauty and gourmandise are like one’. Enjoy the hanging terrace and its wonderful views. Experience the epicurean delights of the stylish restaurant. Nestled amidst rolling vineyards, La Pignarderie is charming, intimate guesthouse. The individually decorated rooms are lovely and the hotel's pool is the perfect place to while away an afternoon. Sample the farms wine and enjoy the gorgeous rural surounds. 5 Lasserre is a contemporary B&B in the St Emilion region. Here you'll find three spacious rooms or a self catering apartment for those who prefer more independence. A chic, grown up spot just 12km from the town itself. For those looking for somewhere to themselves, we recommend visiting our online partner Booking.com. The nearest airport to St. Émilion is Bordeaux (31 miles). A car is really useful when visiting St. Émilion and the surrounding countryside so we recommend visting our online partner Rentalcars. 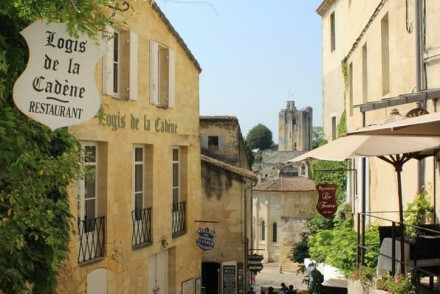 The best time to visit St. Émilion is from May to October when the weather will be nice and the region looking beautiful. Browse through our list of all the best places to stay in St Emilion. 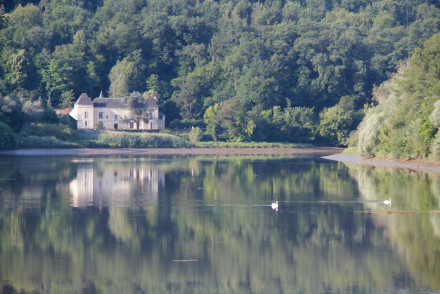 Alternatively widen your search and check out all our properties in Bordeaux or the whole Dordogne region. With panoramic views of the Dordogne River this 17th century castle is perfect for exploring the vineyards. All rooms are decorated in a country style with exposed wood floors and modern bathrooms. There is a hot tub, jacuzzi and pool and large grounds. A continental breakfast and dinner are served. Sights nearby - The Château Rauzan and the Tower of Montaigne are close by. Kayaking - On the Dordogne River. 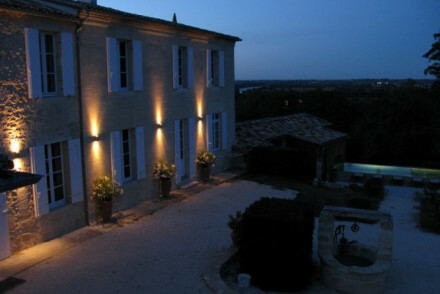 A traditional countryside Chateau surrounded by scenic vineyards, with a peaceful garden and swimming pool. Rooms are filled with homely touches - rugs, paintings and fine furniture. A comfortable and serene spot for total relaxation, local exploring or wine tasting just 10 mins from St Emilion. Local markets - Visit a different local market every day! La Pignarderie is a charming historic guesthouse nestled amidst rolling vineyards. The individually decorated rooms are full of character and style, with ornate beds and classical artwork. Enjoy wine tasting at the hotel or relax by the pool. Perfect for a quiet, relaxing holiday in rural France. Total relaxation - Perfect for a relaxed holiday in Bordeaux, chill by the pool or head out on the wine trail! Local markets - Explore the local markets in Saint-Emilion and pick up some of the yummy regional produce! Sights nearby - Explore the medieval beauty of the nearby Saint-Emilion. Contemporary B&B in St Emilion wine region. Spacious rooms have exposed brick walls, countryside views and large bathrooms; apartment has full kitchen and living spaces. Outdoor pool, gardens and terrace. Massages available. Chic, peaceful and grown up. 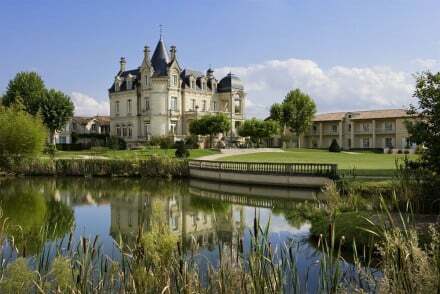 An opulent chateau just outside Saint-Emilion. Four star luxury, though it feels more, includes lavish bedrooms with four poster beds, a top of the range spa with all the facilities, and a fantastic fine dining restaurant. Bikes, golf, tennis on site. Utterly gourmet, luxurious, and sophisticated. Foodies - Fantastic fine dining restaurant and excellent wine lists. Views - Stunning views over the vines and landscaped gardens. Romantic Break - Opulent rooms have silk drapes and four poster beds. Spa breaks - Top of the range spa facilities. A charming hotel, in a medieval square, housing a celebrated restaurant. Elegant rooms are the epitome of french rustic-chic, with distressed wood, muted cream-grey palettes and sash windows. Its wisteria bedecked terrace, floaty pale fabrics and classical furniture create a soft romantic feel. Gastronomic treats are in store at this luxury five-star country retreat. The interiors exude understated elegance with beautiful furniture, paintings, and neutral tones. The surrounding vineyards produce wonderful wines to go with award-winning cuisine. A spoiling retreat. Foodies - Foodies will enjoy the exquisite food and wine inspired by the surrounding produce. Great walks - This old stone monastery boasts lovely gardens for an after dinner stroll. Sights nearby - Visit the Monolith church about the Catacombs. A sun-soaked sandstone house, set on seven acres of idyllic vineyards. Elegant rooms with individual themes, from Out of Africa to Pop Art. A truly stunning country B&B with lovely natural pool. A wine lovers’ paradise! Country Escape - A gorgeous country house and working winery turned boutique hotel, set on a seven acre vineyard. Sights nearby - Enjoy the Romanesque churches and mediaeval ruins in St-Emilion, walking distance from the hotel. 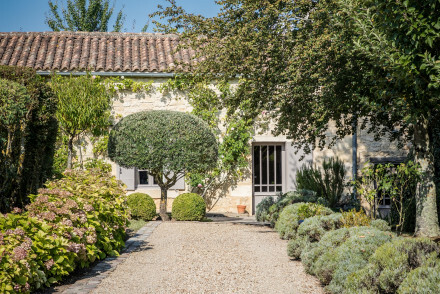 An utterly dreamy chateau in Saint-Emilion with acres of vineyards and a glorious wine collection offering a charming 2 bed house set amid the vines with views to St Emilion. Stylish rooms are traditional and luxurious. Spectacular scenery. Very romantic. Romantic Break - Sumptuous rooms, pool, views of the vineyards, and their spoils. Wine tasting - Famous St. Emilion vineyard to taste from. Great walks - Walks through the vineyards.